It is February 2, 2008, the Feast Day of the Presentation of Our Lord in the Temple and the Purification of Our Lady. 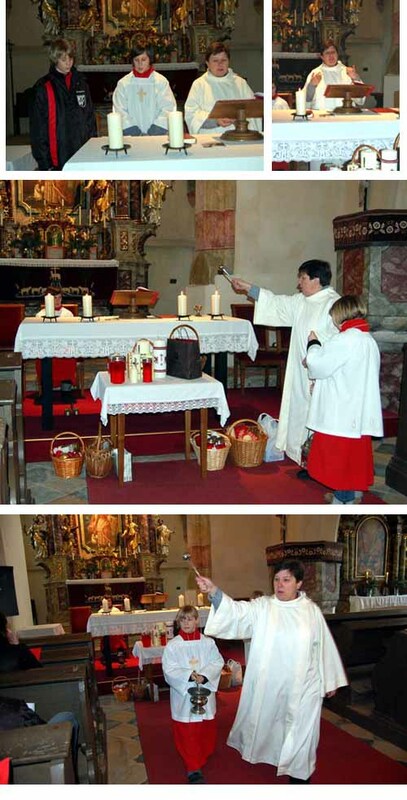 In a parish in Carinthia, in southern Austria, a woman takes the place of the priest for the celebration. 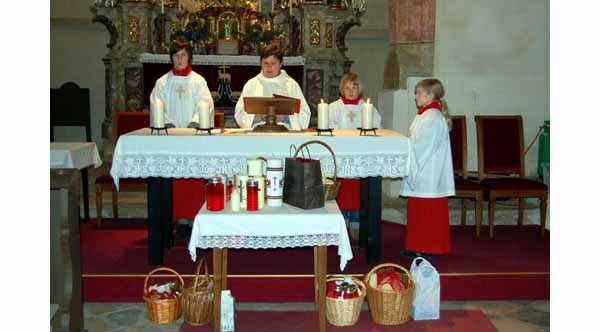 She does not yet say the Mass, but she already dresses like a priestess, has her acolytes, boys and girls (above), reads the Gospel, delivers a sermon (below first row), incenses and blesses the altar (second row), and blesses the people at the end of the ceremony (third row). It is a new development of the "priesthood" under the orientation of Cardinal Christoph von Schonborn, the dear disciple of Pope Benedict XVI, who played an important part in getting him elected at the last conclave.